Poland-based Ziaja Skin Care, Inc.'s all-natural, organic line is richly thick with organic lipids and milk from Goat’s in Eastern Europe – perfect for healing and moisturizing those men and women with the most sensitive skin - as well as baby's delicate skin. Ziaja Skin Care, Inc.(http://www.ziajaskincare.com) based in Gdansk, Poland has made available for the first time to U.S. consumers their popular Organic Goat’s Milk Line for the 2005 holiday season. The all-natural, organic line is richly thick and made with milk from Goat’s in Eastern Europe. Ziaja's Goat's milk line is a natural by-product of non-commercial farming in Eastern Europe and is an ethical use of surplus milk during the milking season. The herds feed free-range and are supplemented with organic wheat and alfalfa hay, which gives the Goats a high-quality varied diet - thus contributing to the luxurious richness of their milk compared to their American cousins. Ziaja filters and uses only the freshest of this milk in their signature skin care line. ·GOAT'S MILK HOLIDAY 2005 PACKAGE – All of the full-size products listed above for special Internet price of $29.99 at http://www.ziajaskincare.com. BUT WHY USE ZIAJA'S GOAT'S MILK LINE? Goats' milk for skin care is a tradition almost as old as mankind. Cleopatra traveled with her own private herd of 200 Goats so she could soak in their milk twice a day. Goats' milk contains capric and capronic acids, as well as naturally occurring triglycerides. This results in a pH level of about 5.5 - helping to maintain correct skin pH. Goat's milk molecules are comparatively smaller than those of cows and are composed of short-chain fatty acids with smaller-sized proteins. The short-chain fatty acids break down several times faster than cows' larger, long-chain fats. This fact, along with the products' unique pH balance makes goat's milk a safe choice for people who have allergies or highly sensitive skin - or even babies. All products and more information are available immediately online at http://www.ziajaskincare.com and soon to be in retail outlets such as Albertson's, Harmon Department Store, Kroger, Walgreens, and Bed, Bath & Beyond in the next few weeks. Ziaja's Goat's Milk 2005 Holiday PackageThe 2005 Holiday Package from Ziaja contains the Goat's Milk Face Cream (1.8 fl oz), Body Balm (6.1 fl oz) and Hand & Nail Care Cream (2.6 fl oz). Goat's Milk Body BalmGentle Balm for daily body care. 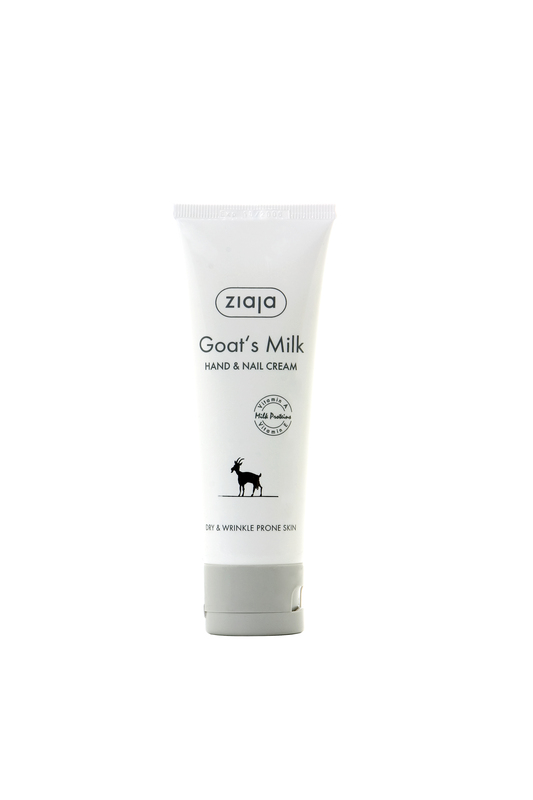 Ziaja's Goat's Milk Hand & Nail CreamOne application lasts all day and in non-greasy and deeply soothes. 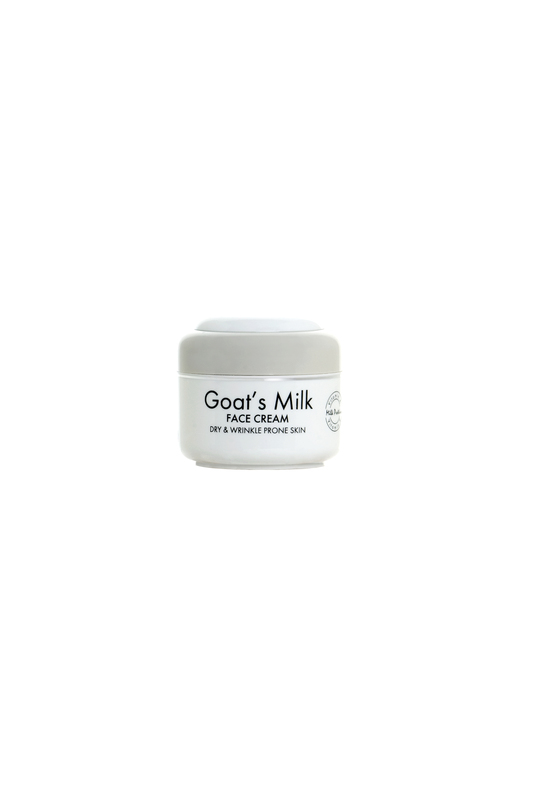 Ziaja's Goat's Milk Face CreamDelicate face cream is pH balanced, will not clog pores, and great for wrinkle-prone skin.